With a baby at home, we try to take extra caution when it's about cleanliness. We keep our houses clean, the floor gets mopping many times and bed-sheet gets changing timely. 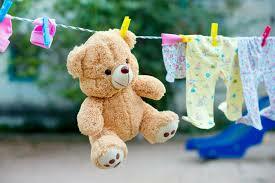 We sanitize baby clothes after washing with detergent. We use good quality dish wash to keep germs away from baby's feeding utensils. But we often overlook baby's toys. Babies are constantly touching toys, putting their hands over them (whether clean or dirty) and many times take toys in their mouths so they can pick up germs and diseases easily. Washing and disinfecting toys help reduce the spread of germs, especially when many children are together. This means we can reduce the possibility of our babies getting sick by keeping baby's toys clean. 1. Cleaning: Most simple way of cleaning toys. Scrubbing with soap and warm water can reduce germs from the toys. It also removes the grease and grime. 2. Sanitizing: A sanitizing solution is needed for this step. It can kill most of the dangerous germs. However, toy surface needs to be cleaned before it's sanitized, since germs can hide in the form of grease and grime. Diluted liquid chlorine bleach can be used for this method. If you don't prefer a chemical solution, a natural sanitizing solution is water mixed with vinegar and baking soda. Can all the toys be cleaned with the same method? The answer is, it depends on the type of toy. Some of the toys can be cleaned with simple hand washing. Other may need a mild way of cleaning. Methods also vary based on the size and material of the toy. How often should toys need cleaning and sanitizing? When you notice they're soiled, for example, when food is over of inside it. When your baby is recovering from sicknesses like diarrhoea or cold/flue. After other kids visit your home or when another kid has put your baby's toys in his/her mouth. On a regular basis, say, at the end of every month. 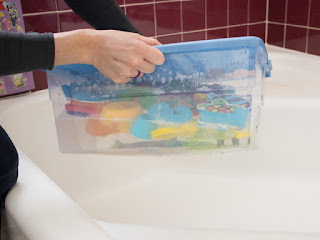 You can wash plastic toys in the sink/tub with a clean sponge, soap and warm water. Make sure you scrub off any dried food, grease and grime. 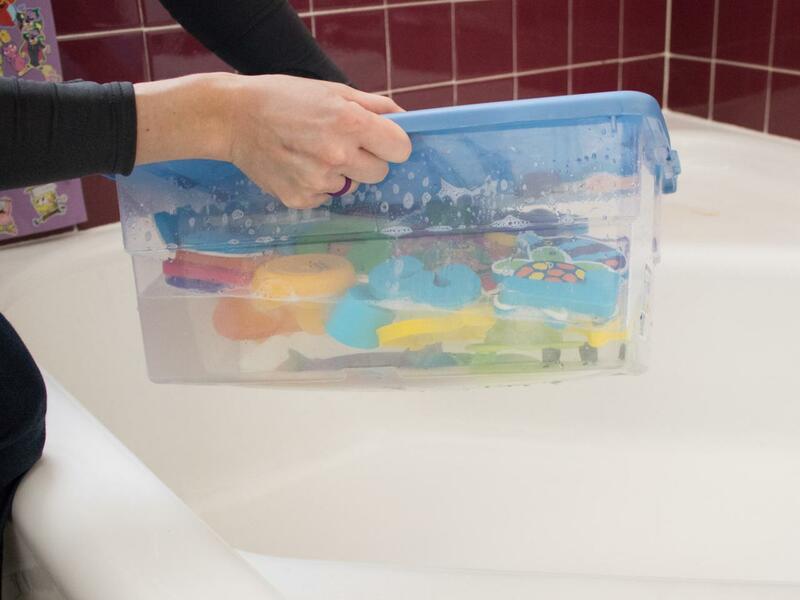 After washing is done, sanitize the toys by dipping them in the sanitizing solution, and let them dry in airy space. For toys with batteries, clean the outside surface with soap and water, then wipe with the sanitizing solution and let air-dry. Use a bottle brush to clean small spaces in toys like Legos, where hands washing can't do a perfect cleaning. For example, for bath toys, fill the tub with 3 - 4 inches of water, add 1 cup vinegar and soak for about 30 minutes before rinsing. However, if any toy is waterlogged with a slimy grime on the inside, it's time to discard that toy and get a new one. Clean their surface with soap and water, then wipe with the sanitizing solution and let them dry in airy space. Wash in the washing machine with laundry soap and hot water. Let them dry in airy space or under the sun. A reality is less you wash fabric toys, the longer they look new. You should not wash such toys in the washing machine if they have a battery or music box inside. Toys with glued items (sequin, beads etc) should not be prohibited for washing machine wash. 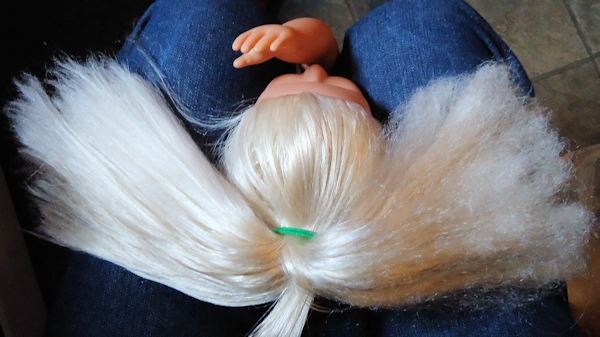 Dolls get dirty and their hair gets messy. Best way to tame frizz and tangles is hot water hair rinse. Another way of fixing frizzy hair is a magical hairspray made with fabric softener. You can use baby wipes for cleaning toy surface if it's been dropped in the dirt. Depending upon the quality of the toy, you can sterilize toys in hot boiling water just like feeding bottles. Use an old toothbrush for cleaning corners and the inner surface of toys. If you are not sure about the quality of the toy, don't put it inside washing machine. Do hand washing for cleaning it. At the end of the day, all we need is our babies smiling and doing well. Although we take care of everything which is any way related to their health, still we miss few things which can bring not-so-good moments for our babies.Babies are like little explorers desperately seeking out new experiences and in this very thing, their toys can get dirty. 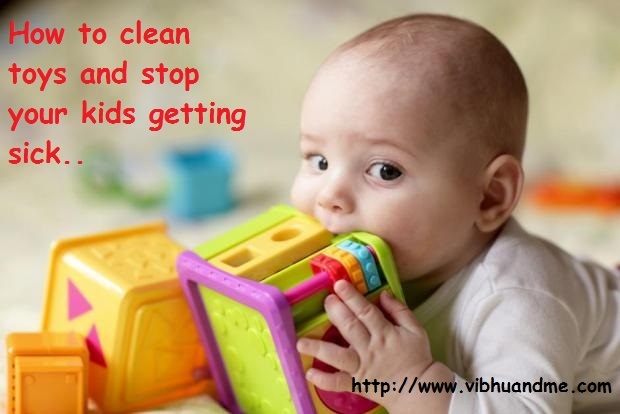 Cleaning baby toys is an essential stuff of parenting which prevents them from many germs and harmful bacteria. Some useful tips here. I am sure a lot of moms will benefit from these tips as children are always mouthing toys and falling sick. This is an essential baby routine generally overlooked.A timely reminder. These are some really helpful tips for mommies. A lot of mommies will benefit from these. These are some great tips to keep your kids clean. It's important as they put it in their mouth most of the time. I like the tricks and natural sanitizing solution idea. Very true. We often tend to overlook the cleaning of baby's toys which results in baby falling sick. Maintaining the hygiene of baby's toys is also very important. Extremely informative and important post this is. Most of us do not really care about the toys as much as everything else around the baby. To make a confession, i have not been very regular in cleaning up my kids toys. But the good part is that my elder one is now almost 5 and he cleans up his own toys at regular intervals himself. But you have provided good and workable tips to clean up the toys.